Livestock farmers and chefs prior to the Tasting meeting on 19th of October at Swedish Taste. In the foreground – Sebastien Boudet and Fredrik Hedlund. Photo: Bianca Brandon Cox. Martin&Servera inspect poultry with the chef Niklas Ekstedt, and Sebastian Holm from Reko. Photo: Bianca Brandon Cox. 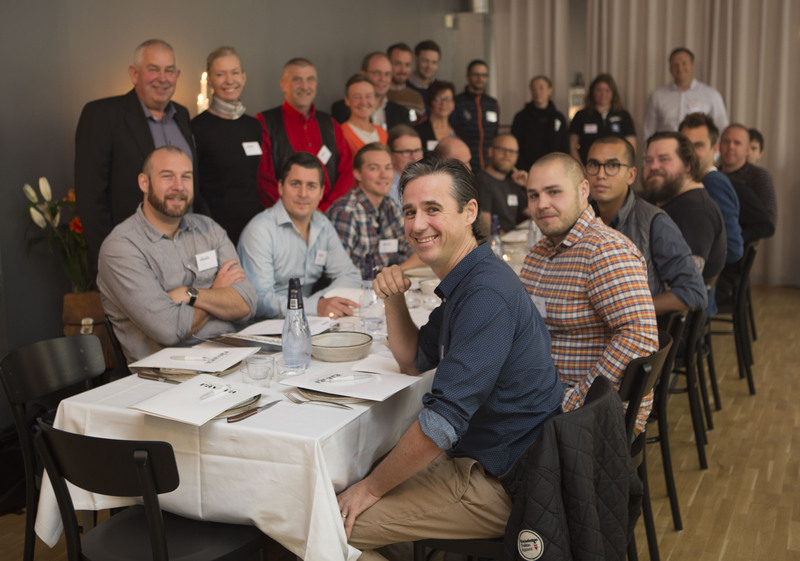 22 livestock providers showcasing 20 meats attended the Tasting meeting on the 19th of October, 2015 at Swedish Taste in Stockholm. There were 15 chefs who tested, tasted and tested meats ranging from poultry, to pork and beef in three tastings. Proceedings were kicked off with eight different types of poultry such as Queen Silvia, Hedemora rooster, Indian Fighting Hen, Guinea fowl, and continued with pork from producers such as Linderödssvin, Flistads cross-breed and Domtagris. The tastings were concluded with seven differing types of beef. It was agreed that a considerable increase in quality was evident in all three groups. Although, this time around, no pork contender racked up enough points to be classed as Exceptional Produce, and instead were ranked just below this as Excellent Produce. No less than three products in the beef category received an award as Exceptional Produce: Swedish rödbrokig heifer from Skärshults farm, Naturbeteskött from Gymningegård in Närke and a 17 year old highland cow from Sunnanheds farm in Dalarna. 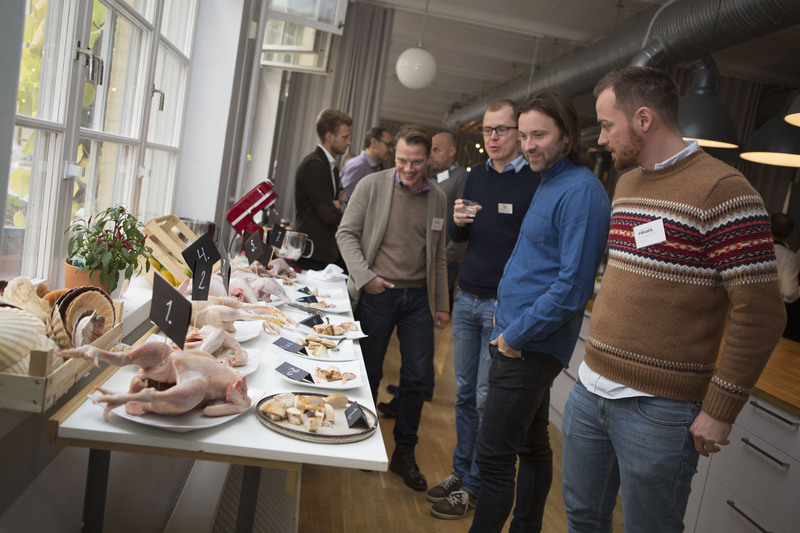 In the poultry tastings it was the Indian Fighting Hen from Blekslättens farm and the guinea fowl rooster along with the Hedemora rooster from Ockelbo Fågel which ascended over the magical level of 35 points and received awards as Exceptional Produce 2015. – These eight birds wouldn’t even be in this kitchen four years ago when we started this project. He also mentioned how exciting it was with the variations in taste – that a big hen with large breast fillets is tender and has a mild taste, while a smaller and thinner roster can provide a deeper taste and more consistency. – It is the diversity of the produce which is worth aiming for. During 2016 the board for the association is planning to take tasting and knowledge gathering a step further. Furthermore, Exceptional Produce has been a non-profit association open to all chefs and farmers who want to join in and develop exceptional produce since the beginning of the year. A collaboration has also been started with the JTI (Swedish Institute of Agricultural and Environmental Engineering) in order to gather and disseminate the results and outcomes arising from the project. 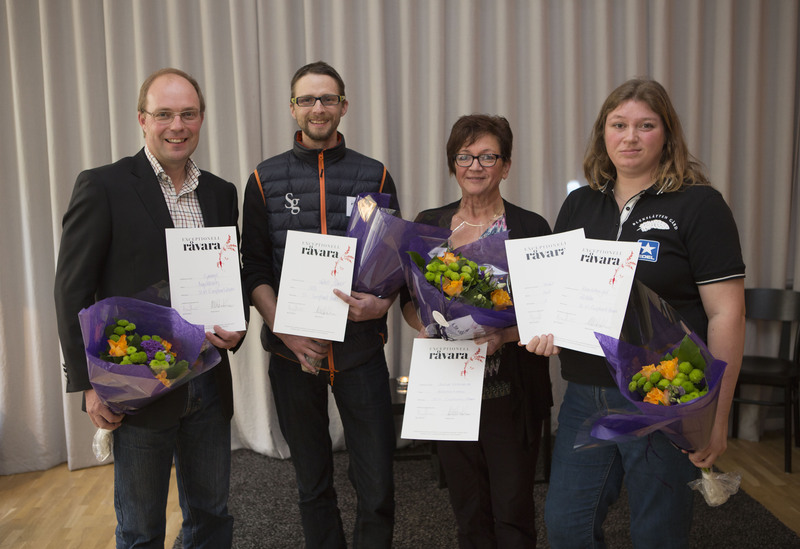 Producers who received awards as Exceptional Produce 2015: Torbjörn Eriksson Gymninge Gård, Christian Bauer Skärshults farm, Siw Persson Ockelbo kyckling and Maria Ekholm Blekslättens farm. Photo: Bianca Brandon Cox.